Having enjoyed a facelift in 2017, the new Ford Kuga radiates style and is competent when travelling from A to B. This model is instantly recognisable thanks to its strong lines, attractive contouring and side roof bars which create a distinctive silhouette. While Blazer Blue and Race Red are the standard colours, there’s a pallet of other premium and exclusive hues to choose from too, including Frozen White and Moondust Silver. The ability to customise the Kuga to your taste is what’s so appealing to buyers. One look at this vehicle and you will also notice the 17-inch alloys which come as standard and help to maintain a strong and steady grip of the road. The head-turning exterior aesthetics perfectly complement the plush interior which radiates luxury and class. Hop behind the wheel and enjoy a plethora of features as standard such as sports seats, cruise control and keyless go. Upgrade to the Titanium model and you can benefit from part-leather seats with the Titanium X boasting leather upholstery and a panoramic sunroof. Visuals are extremely important for the Kuga with every element of design having been carefully thought through. Light to handle despite its muscular appearance, the Ford Kuga corners with ease and can be easily manoeuvred into parking spaces. Different driving modes such as the Sports mode also allow you to customise your driving experience. Under the hood lies a variety of engine options which ensure the Kuga gives its best performance to date. There are a variety of petrol and diesel options to choose from including Ford’s well-known EcoBoost engine and the 2.0-litre, four-cylinder TDCi engine. 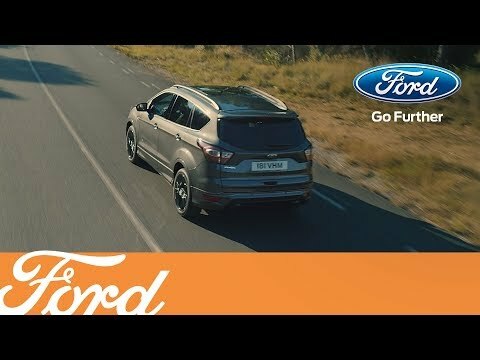 Step into the all-new Ford Kuga and let it do all the hard work for you. Relax with dual climate control on selected models and benefit from an impressive technology suite. The Ford SYNC phone voice-control and infotainment system, and a DAB radio, are all available from the Titanium trim level upwards. Apple CarPlay and Android Auto integration as well as touchscreen sat nav will also make getting around not only more entertaining but simpler too. Designed with safety in mind, the Ford Kuga has been awarded the maximum five-star NCAP safety rating. Standout features include airbags throughout, a Tyre Monitoring System, ABS, Emergency Brake Warning, and ISOFIX child seat mounts.  Optional extras are Traffic Sign Recognition, Adaptive Cruise Control, and a Lane Keeping Aid. Whether you want to find out more about the new Ford Kuga or book a test drive, contact M53 Ford today.